The MOBO Awards 2017 hit Leeds as thousands of fans made their way to the First Direct Arena to celebrate an important year for Urban music. Almost freezing conditions didn’t stop the high-spirited ticket holders leaving their winter coats at home, and wearing smart, sparkly and sassy attire, worthy of an awards ceremony. And as stars such as Stormzy, Stefflon Don and Idris Elba arrived on the red carpet, cheers and screams of adulation welcomed them, before the main event kicked off in style. Inside the arena, I’m caught up in the genuine elation and excitement of the night ahead. There’s no giddiness and no attitude, just a plethora of beaming faces and happy people who love music and have come along tonight to love their music and their heroes just a little bit more. With the show about to start at 8pm, the set up is amazing. A glossy “M” inspired stage is nicely lit with pyrotechnics waiting to burst in to life. 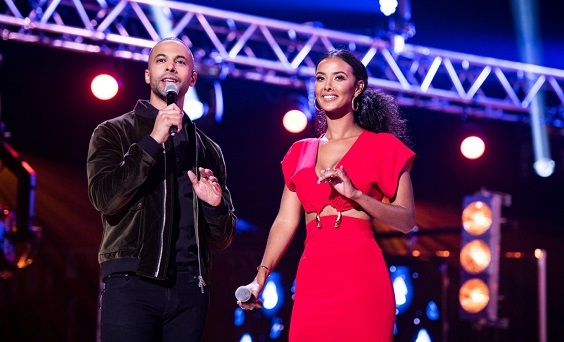 Hosted by glamorous TV presenter Maya Jama and Marvin Humes of JLS, Humes shows all the coolness of a presenter who’s been around for a generation, and Jama adds the same. 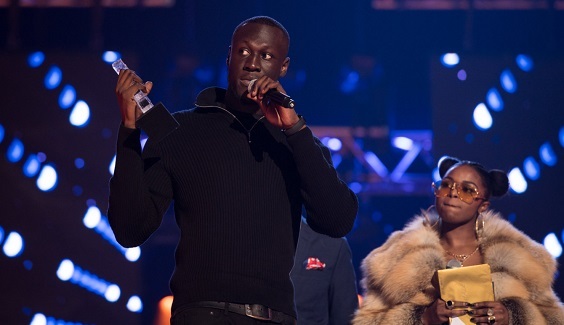 It was Jama’s boyfriend Stormzy who owned this year’s show, by picking up a hat-trick of awards to the delight of the excited crowd. He took home gongs for Best Male Act, Best Grime act and Best Album for Gang, Signs and Prayer. As well as giving an explosive performance of her hit ‘Hurtin’ Me’ on the night, Stefflon Don picked up the accolade for Best Female, making her the only female winner at this years MOBO Awards. Other acts that sent the crowd in to euphoric uproar were London’s Krept & Konan, and the upcoming stars MCs Yungen and Yxng Bane. I’ve liked every performance, jumped at every firework, and its been a brilliant, smooth evening that I’ve embraced and enjoyed. With 14 awards handed out throughout the evening, chart-topping US rapper Cardi B was left to draw the final screams. She got the arena up on its feet to close the show by performing ‘Bodak Yellow’. But the highlight of the evening for me was the people who’ve come here. They looked fab, while creating an atmosphere that I’ve never witnessed at a music event before. An absolute credit to the MOBO’s, which is rightfully getting the recognition it deserves.